Water Damage, fire, floods, and mold are no match for the expert service of Premier . 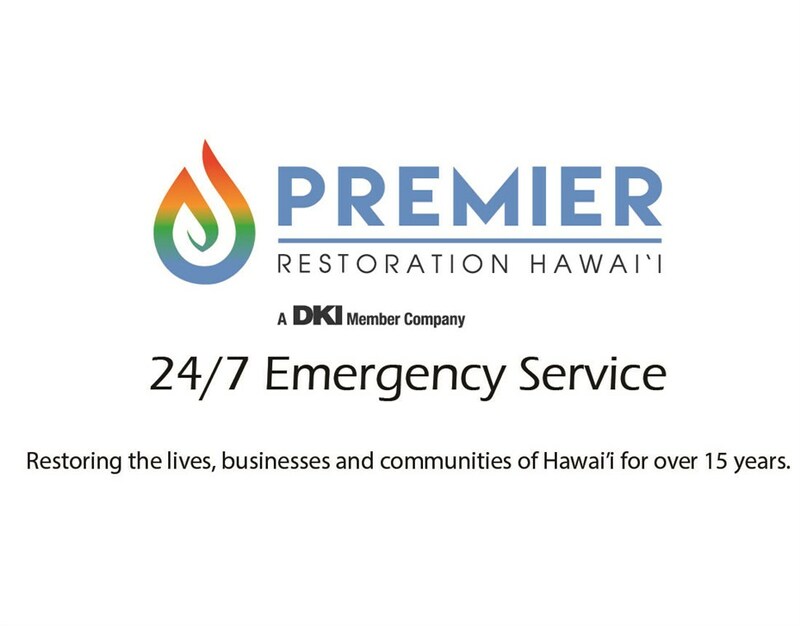 Dealing with unexpected damage in your home or office can be devastating, but the professionals at Premier Restoration Hawaii are here to get your property back to top shape as quickly as possible. As a local Kihei restoration company with over 15 years of experience serving the region, we understand the challenges of living in the tropical Maui climate. Whether flooding, storms, or fire have damaged your home or commercial building, you can count on our 24-hour emergency services for fast and affordable restoration. Water damage is a major concern for homeowners in Hawaii, and professional service is needed to ensure that you don’t end up with larger issues down the road. With our full staff of highly trained experts, our water removal company in Kihei is experienced in all aspects of damage restoration, guaranteeing that you get the highest level of service at an honest, competitive price. Water Damage Removal: Standing water leads to mold, poor air quality, and structural damage, and we offer the fast emergency water removal services you need. Mold Removal: Whether you have mold growing due to water leaks or your building’s air ducts are infiltrated with toxic spores, our mold removal experts can handle the issue quickly and professionally. Personal Property & Document Restoration: Losing valuable belongings and essential documentation is a devastating effect of flooding or fire, and we can work to clean and restore your salvageable contents to get you back up and running. We also provide inventory services for the items that will need to be replaced. Wind & Storm Damage: When a storm blows through Kihei and damages your property, contact us for immediate wind restoration response! Fire & Smoke Damage: Fire does more than just damage the structure of your home—it also leaves behind lingering smoke and other odors. Our team offers comprehensive solutions for full-removal of damaged areas and expert odor elimination. Commercial Services: Minimizing the downtime of your business after an unexpected event is essential, and we work quickly to ensure that we meet the full scope of your restoration needs. Asbestos Abatement: Asbestos can be a dangerous and toxic insulator, often found in older homes. Our team of certified specialists can safely remove and eliminate this hazardous material. From safe asbestos abatement to water damage remediation and mold elimination, Premier Restoration Hawaii is the top choice in Kihei for handling of all your damage restoration needs. Give us a call today to speak directly with one of our friendly team members about your needs, or fill out our online form to get a fast response with a free, accurate estimate.